Karen Clarke is a proud product of Alachua County Public Schools. Following her graduation from Gainesville High School, Mrs. Clarke attended Santa Fe Community College and then the University of Florida, earning a degree in Elementary Education and a Master’s degree in Educational Leadership. Mrs. Clarke has spent more than 26 years as an educator. She has worked as a teacher, dean, assistant principal and principal. Under her leadership, Oak View Middle School established its highly successful Center for Advanced Academics and Technology magnet program. Since 2010, Mrs. Clarke has served in a number of leadership roles in the district office, taking on more responsibility with each of those roles. 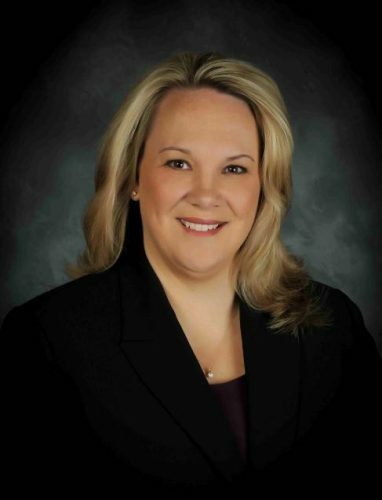 She began as the Director of Secondary Curriculum and School Improvement, then became Assistant Superintendent for Curriculum, Instruction and Student Services. In 2016 she became Deputy Superintendent and served in that capacity until being named Superintendent in May of 2017. Coordinating Committee, among other organizations. Locally, she serves on the Alachua County Children’s Services Advisory Board, and is a member of the board of directors for Junior Achievement, the Gainesville Area Chamber of Commerce and The Education Foundation for Alachua County Public Schools. Mrs. Clarke is married and has three sons, two of whom graduated from and one who is currently a student of Alachua County Public Schools.